China has decided to stick to the stars and will go with experience at this year's World Championships. Most of the world's well known Chinese players are in the team. However, Ma Lin, Wang Liqin, Zhang Jike, and others had faced serious problems qualifying in the first phase of the selection trials. Many of these stars had actually finished in the 9-16 bracket. It was ironic that some of the World's top 10 players were not able to finish in the top 8 of the trials. It speaks of the depth of the competition in that country! It is surprising that Hao Shuai, who upset the applecart of a few well known names, does not figure in the final list. Amy Wang, pony-tailed eight year old toddler, beat the Mayor of PA, during the Trolley Car Table Tennis Club's formal inauguration in East Falls. 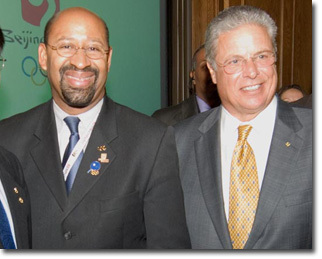 The Mayor could score only three points against the kid, who is no pushover. Amy is the US Champion in the under nine category. The club is already growing in popularity since it's unofficial opening in January. Around 25 TT players compete during the week. 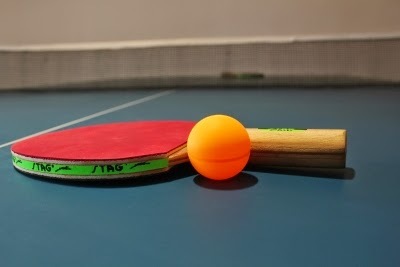 Table Tennis lessons, tournaments, and private parties are the offerings made at the club. "Beautiful backhand" Oh Sang Eun won the Spanish Open Pro Tour at Almeria, Spain. He beat top seed Vladimir Samsonov in impressive fashion in the finals 4-1. Samsonov, who leads in their head to head meetings so far, could not produce his usual magic to the contest. Oh Sang seemed to be determined to take one of the rare opportunities to win a prestigious Pro Tour title. In an earlier round, Lee Jung Woo beat team-mate and second seed Joo Se Hyuk 4-0(!) in the quarterfinals, which was a major upset and that too with a lop-sided score. Another notable achievement was that of Christophe Legout, the elegant veteran French player, who reached the quarter-finals. 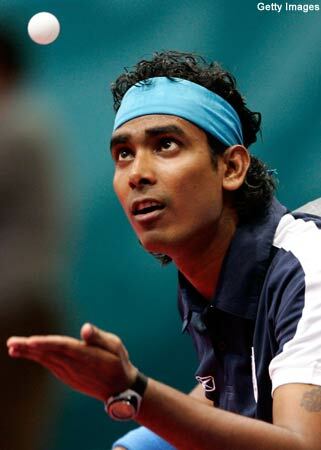 Earlier, India's Sharath Kamal bowed out in the 2nd round of the main draw. India's pride and joy of Table Tennis, Sharath Kamal, will open his campaign at the Spanish Open against a qualifier. Sharath is seeded in the 9-16 bracket. There are some dangerous floaters in the qualifying groups such as Alexander Shibaev, the youth in great form, or Keinath Thomas, Sharath's nemesis (finalist at the US Open where Sharath won after a hard fight). If Sharath is lucky to reach the quarter-finals, he will face the world's premier chopper, Joo Se Hyuk (2nd seed). Sadly, it appears that none of the Indian players, barring Sharath have made an appearance at the tournament. India had given 13 entries to the pro tour tourney. Chinese ace, Wang Hao is back at the No. 1 spot after being away for a few months. He displaced Timo Boll in the April World rankings. 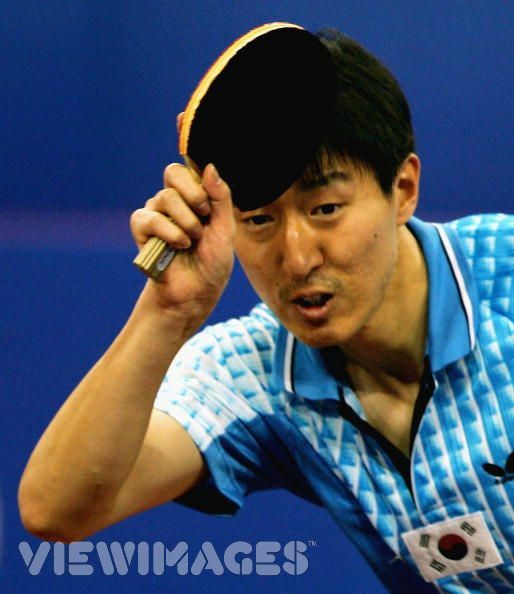 Ma Long was the first person to displace Wang Hao, back in 2009. Since then, Ma Long has slipped to the 5th spot. In the April list, Ma Lin and Zhang Jike have moved up one place each. Most of the other top players have retained their rankings. India's Sharath Kamal is placed at the 51st spot. He lost some bonus points by skipping the Qatar and the Dubai Pro Tour events. 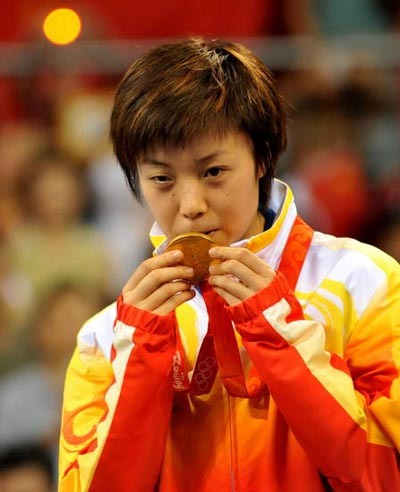 Zhang Yining, one of the all-time greats in Table Tennis, said that she quit Table Tennis to focus on her studies in the US. She will be pursuing a one-year course in Physical Education in the US. According to her, the decision also gives the younger players an opportunity to show their mettle. Guo Yue, Guo Yan, Li Xiaoxia, Liu Shiwen, and Ding Ning are in the race to take her place. The Chinese authorities are bound to be anxious, especially since the London Olympics are right around the corner. 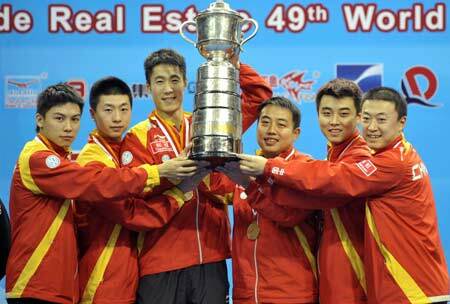 The immediate priority for the Chinese team is also the Rotterdam World Championships this year. 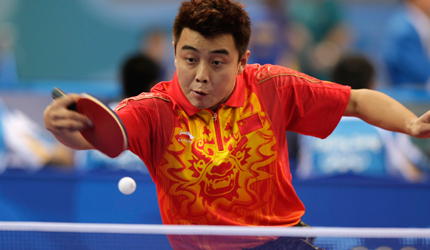 Zhang has an impressive tally of four Olympic gold medals, nine World Championships, and four World Cup wins. April 03 Update: Many of the entries stand withdrawn. We are waiting for more information. A Sharath Kamal leads India's challenge at the Spanish Open.